Aspen Pumps, the global pace setter in design, manufacture and distribution of condensate removal pumps and ACR ancillaries, is delighted to announce the appointment of Kelly Butler as Group Marketing Director. Kelly’s appointment underlines Aspen’s commitment to push towards the next phase of growth, which has been the cornerstone of Aspen’s heritage for over 20 years, either through launches of innovative products, the success of a dynamic sales team or strategically focused business acquisitions. A key appointment to the Aspen team, Kelly brings with him a wealth of knowledge boasting over 20 years’ marketing communications and product management experience within the built environment. A well-known figure within the HVAC sector, before joining Aspen, Kelly was Deputy CEO at BEAMA, the leading trade association representing electrotechnical manufacturers. He was also a member of the senior team at the Energy Saving Trust responsible for trade marketing relationships and home energy marketing. 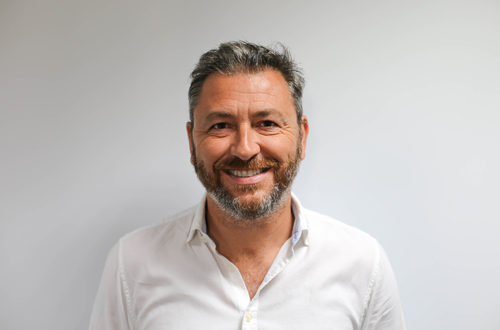 In Kelly’s new position he will head up Aspen Group’s marketing which includes overseeing the company’s continuous innovation; delivering multiple product solutions to customers across its core brands in the UK; ensuring well-defined customer messaging; as well as the day-to-day servicing of 100 export markets. In terms of product offering through the channel, Kelly aims to provide a cohesive approach to planning, validating, measuring and evaluating all marketing activity. Kelly will also be reviewing Aspen’s digital strategy and building strong links with the innovation team and global sales force to ensure product development and overall offering are relevant to the ACR engineer. Kelly Butler, Group Marketing Director at Aspen Pumps said: “I am thrilled to be joining such a fast-growing business which boasts a strong innovation platform and an entrepreneur management culture. My plans are to place marketing right at the centre of the business making it the heartbeat that helps drive high sales growth, technology innovation and an ever-expanding product range. It is a really exciting prospect to join Aspen and be part of what is already a phenomenal success story. Commitment to innovation, expert knowledge of the industry and global marketing achievements have seen Aspen flourish over the past 25 years. In the last 10 years alone, Aspen has trebled in size and secured a global position, trading in over 100 countries worldwide and with business premises on four continents. The future looks exciting for Aspen Pumps and the next 25 years looks set to bring even more innovation and growth for the company. For more information, visit www.aspenpumps.com. o JAVAC, the number one HVAC tool supplier in the UK. This press release was distributed by ResponseSource Press Release Wire on behalf of MacLean Communications in the following categories: Media & Marketing, Manufacturing, Engineering & Energy, Construction & Property, for more information visit https://pressreleasewire.responsesource.com/about.